In the last twenty five years, company law in the Commonwealth Caribbean has undergone dramatic changes, from a model influenced by English law to a new, harmonised collection of regional legislation based on the Caricom and CLI model Acts that vary substantially across Caricom member states. The variation within Caribbean company law presents an enormous challenge, both in terms of the breadth of the subject and in addressing the difference in provisions of one stateÃ¢ÂÂs Company Law Act as opposed to another. 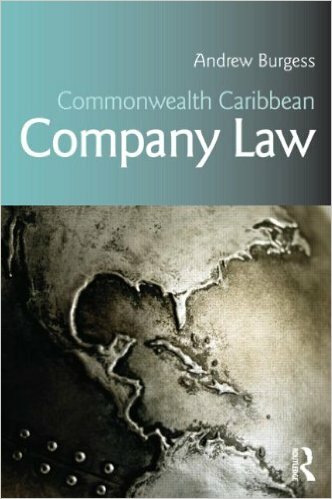 Using the Caricom model Act and CLI model Act as a basis for its structure, Commonwealth Caribbean Company Law examines and compares regional implementation of company law in an accessible and comprehensive manner that will be invaluable to students and practitioners in the region.